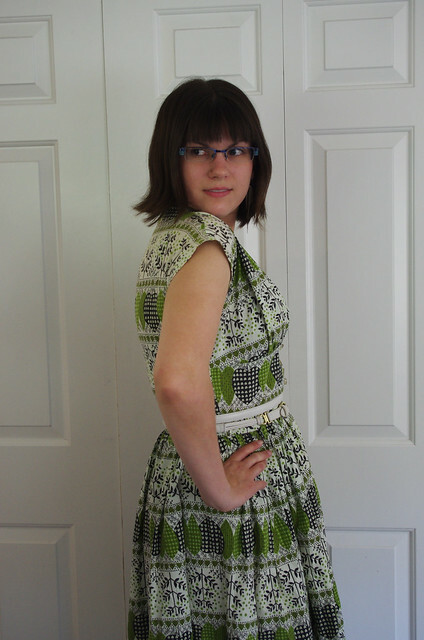 I bought a little sundress back in December or so, in that twilight time before I started preparing for the show when I was still dreaming of spring. 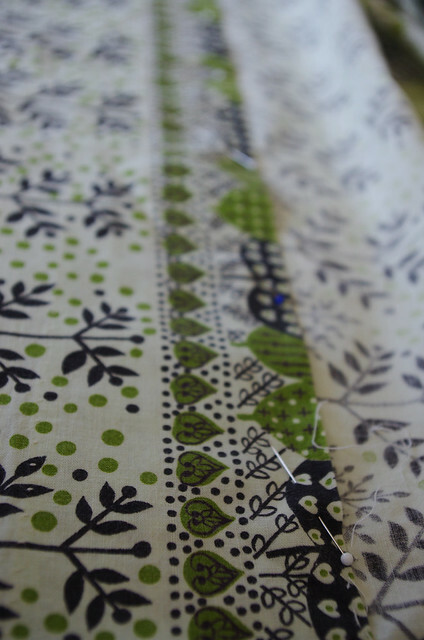 It was a cute shape, but what really grabbed me was the print: stylized trees, hearts, leaves and polka dots in one of my favorite shades of green. 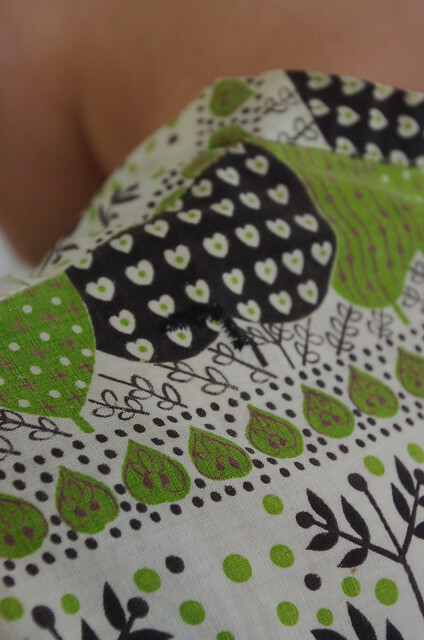 The dress was in great shape, but the hem was coming apart in some places, a patch near the armhole sewn on by the previous owner was falling off, and there was a little hole on the left shoulder. 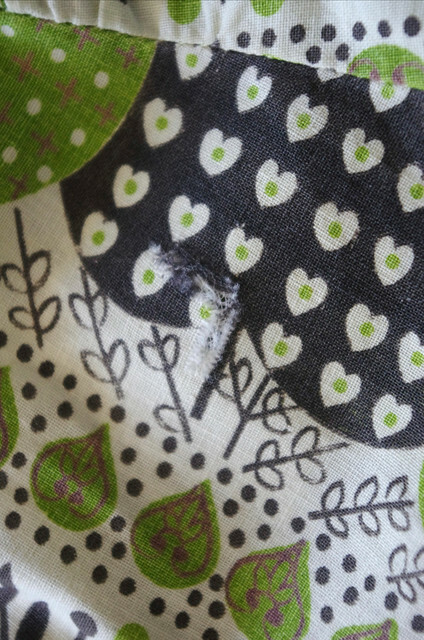 So finally, last Saturday morning I took a few minutes to iron and re-sew the hem, apply a bit of strategic interfacing, and re-tack the patch back on. 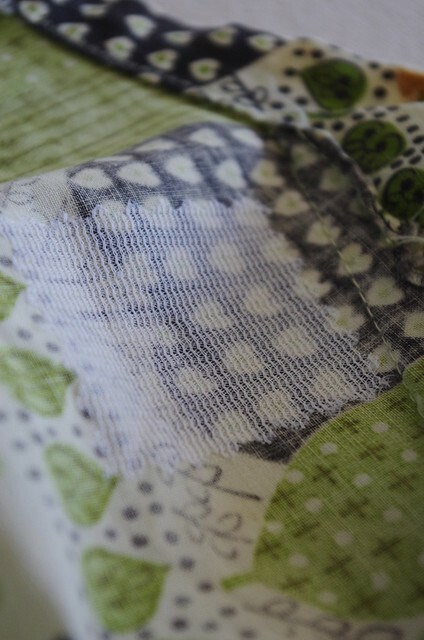 It was fun to look at the inside of the dress - it's very well-constructed, and even the patch is clever. I barely even noticed it was there except that the stitches were pulling out. The hole was probably the most difficult to deal with. 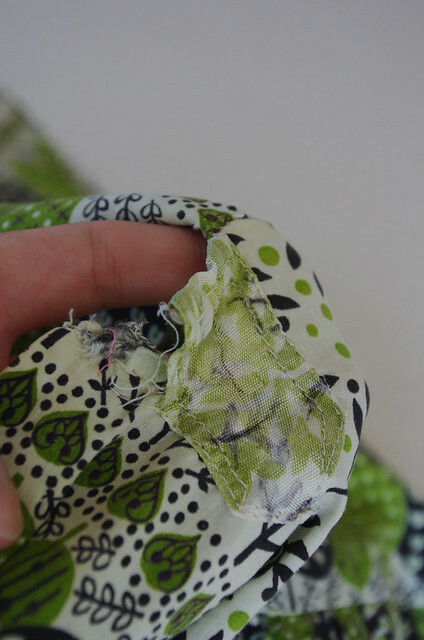 I cut a little scrap of fusible interfacing, placed it over the hole on the wrong side, and hit it with some steam, then satin stitched the hole closed with some black thread. 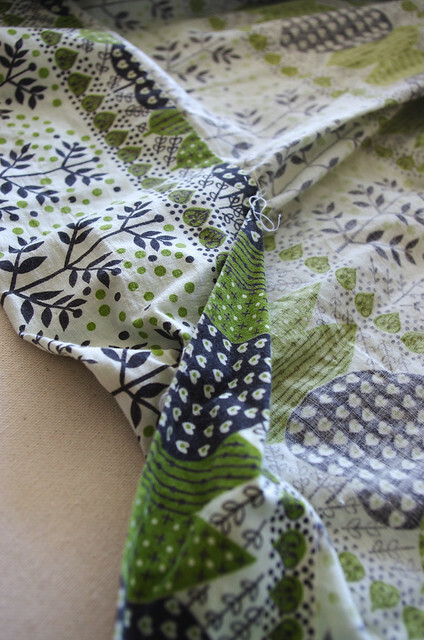 It's not perfect, but it's enough to keep the fabric together. It's not in an area of high stress, so I'm not too worried about it. I think vintage repairs are my favorite type of sewing project. It's always a fun puzzle to figure out what the garment needs to be functional, especially without compromising the original work, and I'm a lot less fussy about leaving stains and patches in vintage pieces than I am with new things. Vintage treads the fine line between old clothes and artifacts, and I love that there are so many secrets and skills hidden in each one. 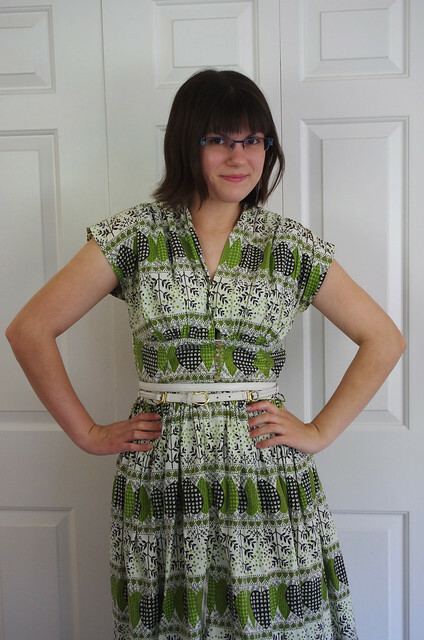 Plus, I'm pretty excited to have this dress ready to wear this summer!